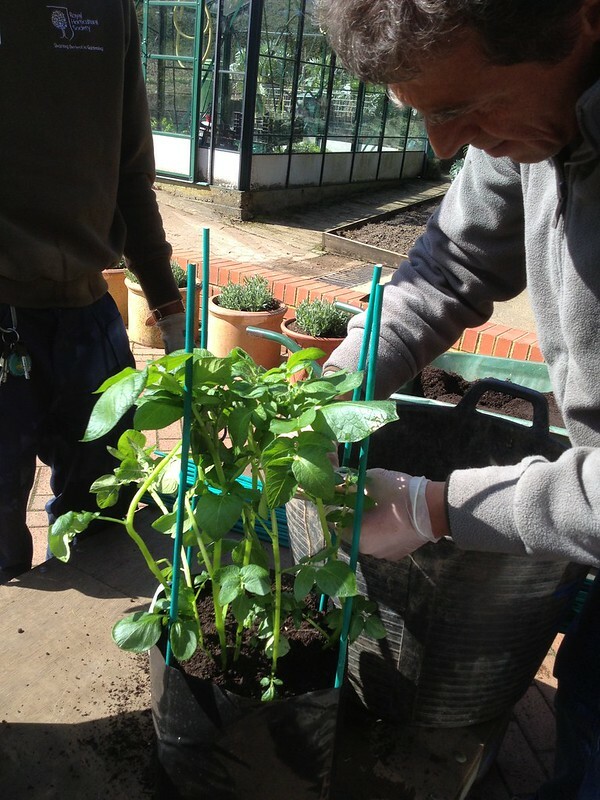 With April I have started spending more time in the veg garden, up to 2 days a week, which is something I have worked to achieve, as I expect that veg growing will be a relevant part of my future involvement in horticulture. 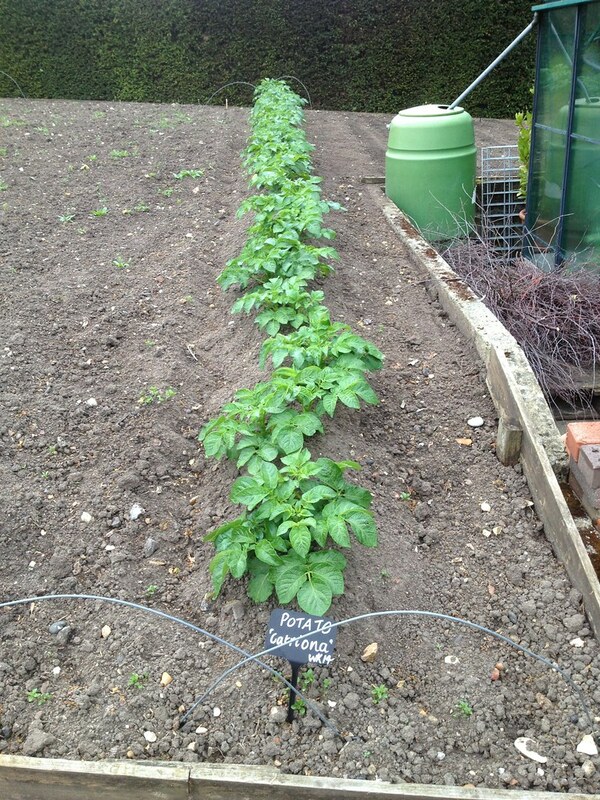 One of the first crops that I've been involved with has been potatoes. 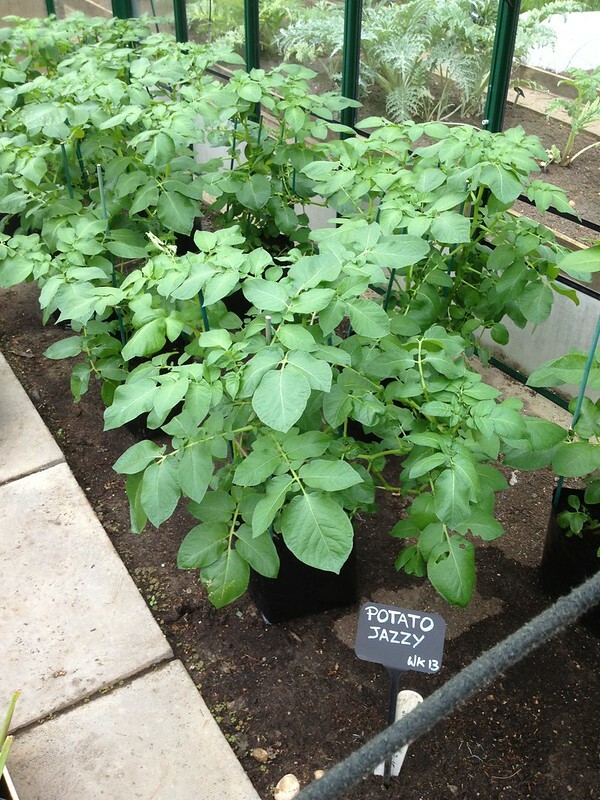 I staked some early potatoes 'Jazzy', which had been grown in bags after being started indoors in week 13, which we then displayed in the glasshouse in the veg garden. 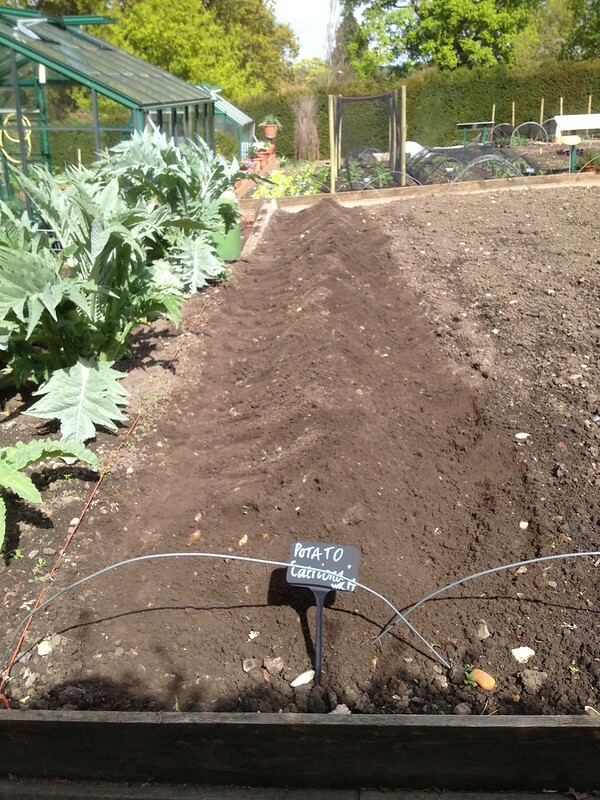 I fertilised the soil where potatoes would go in in week 14 (end of March) by top dressing it before the rain came. 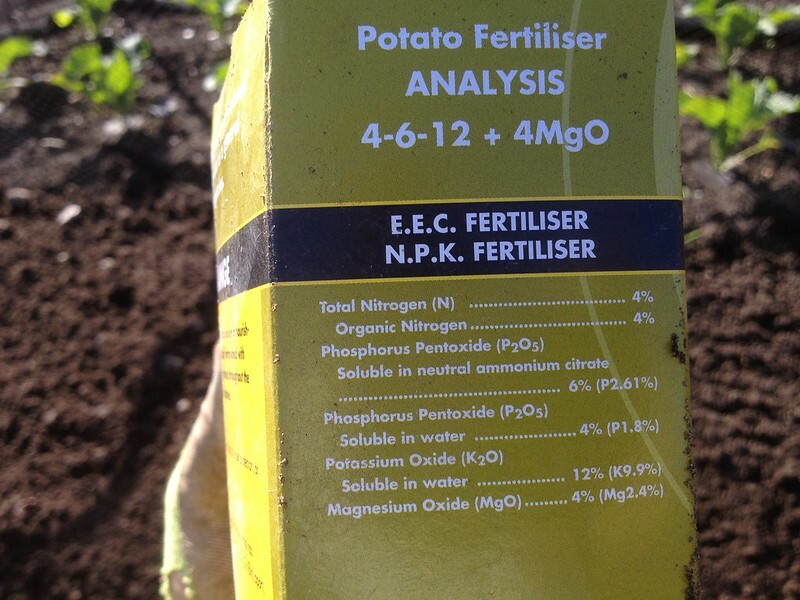 We used general fertiliser at 10 g per sqm. 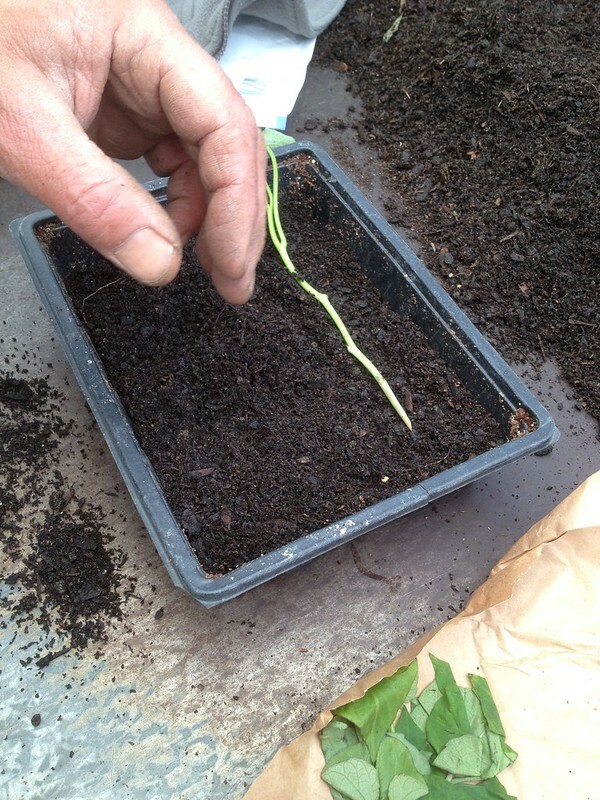 Today (week 18) I planted some second earlies. At 40 cm between them in rows 60 cm apart, we planted them at 10 cm depth, by using a marked stick and adding 50 g potato fertiliser per hole, well forked in (it will need another 50 gr as topdressing at emergence, in 2 weeks). 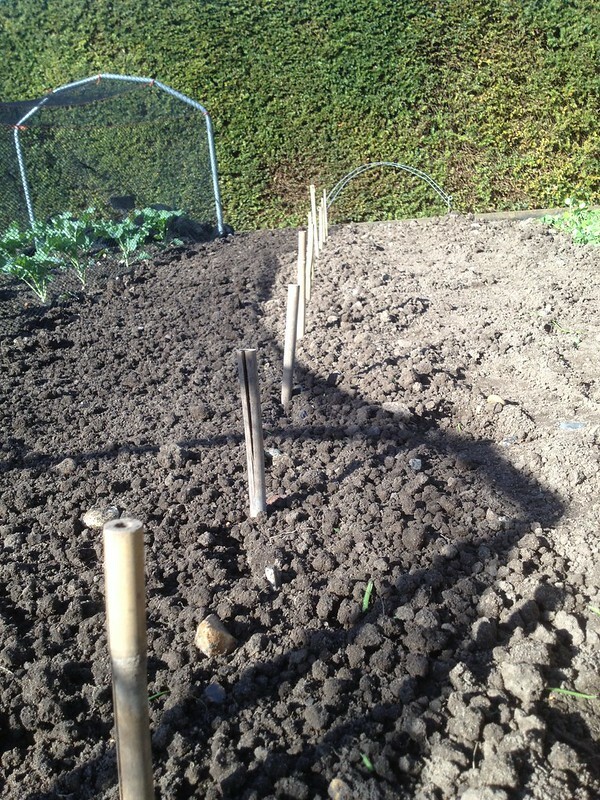 As we were expecting one of the last frosts, I was also asked to earth up the other potatoes that had emerged. 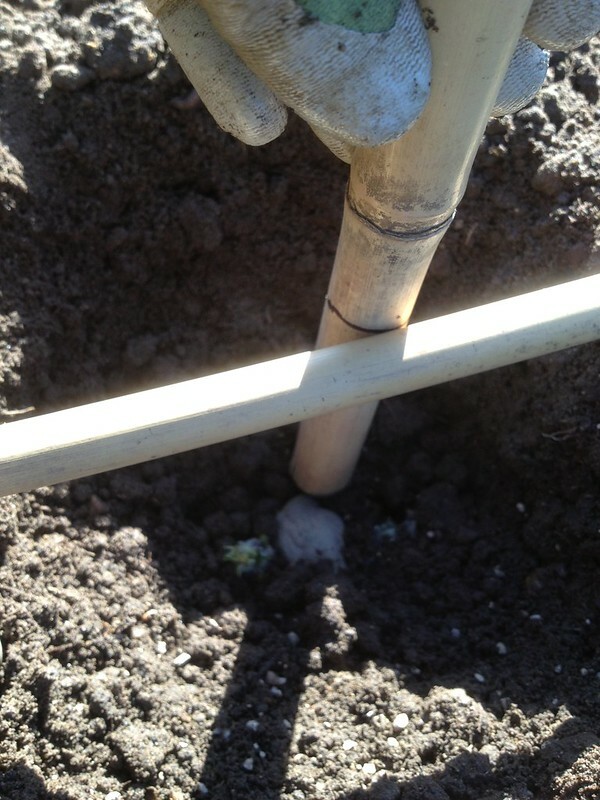 With soil from either side of the row, we covered every single leaf to avoid it getting damaged. 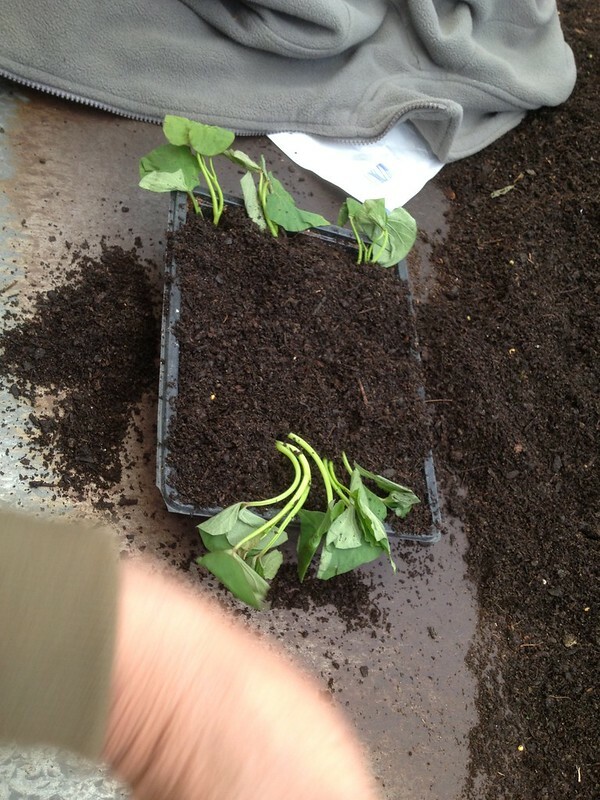 We had some sweet potato (Ipomoea batatas) slips too so I was shown how to root them in propagation, by laying them in a tray.